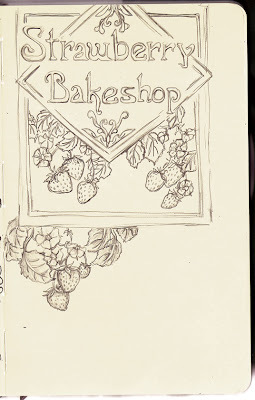 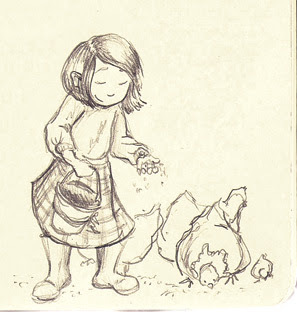 Last week, most of my masterpieces happened in the kitchen rather than on the drawing table. 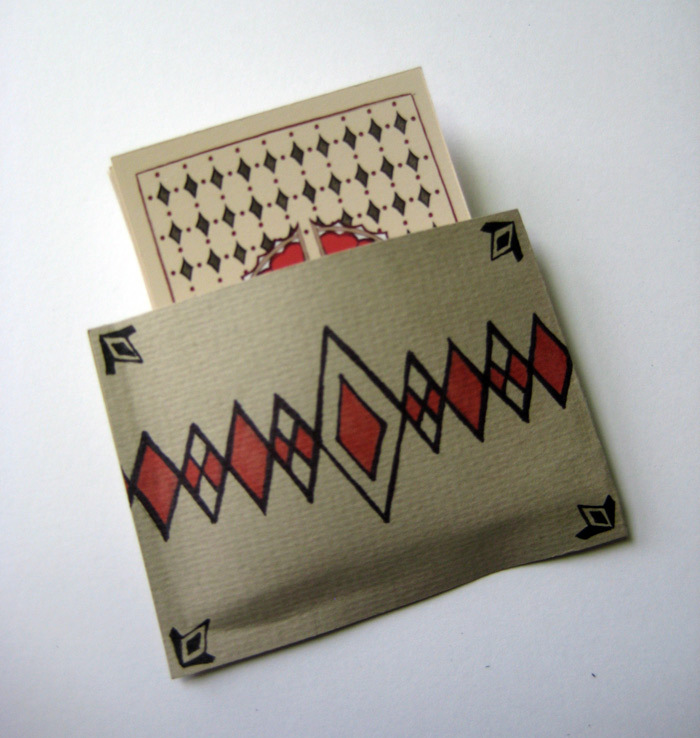 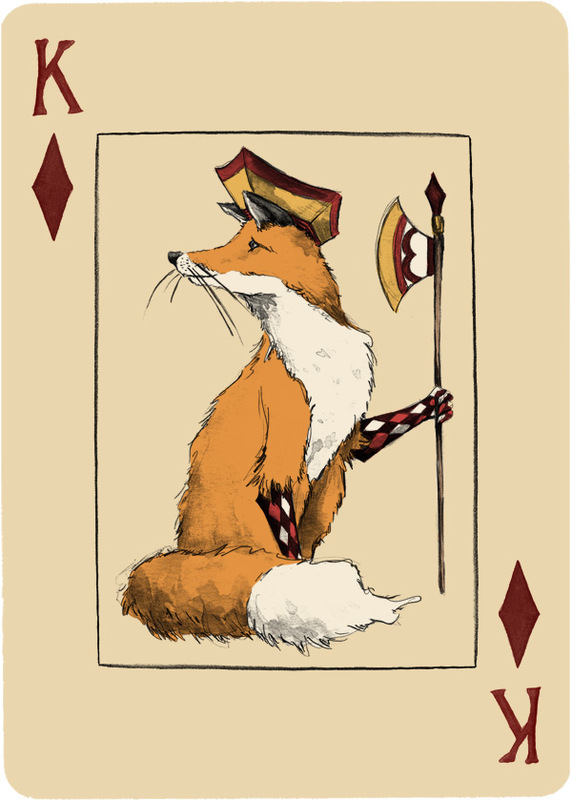 I did, however, have some time to get the third suit done for N's deck of cards. 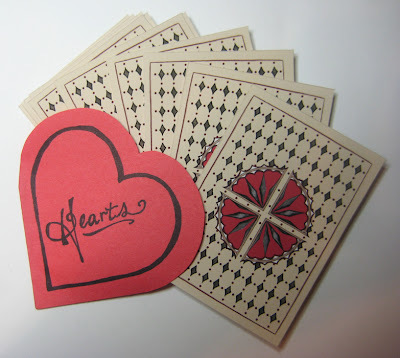 Hearts! 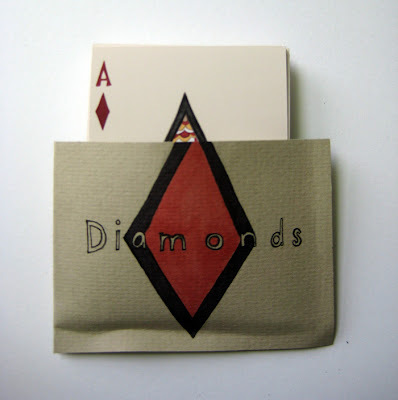 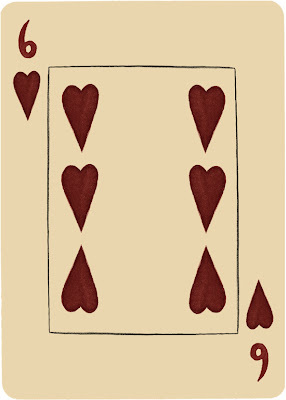 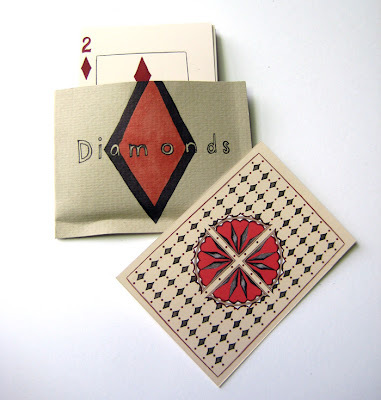 As with the diamond number cards, I already had a series of easy templates, so I quickly subbed the hearts for diamonds. 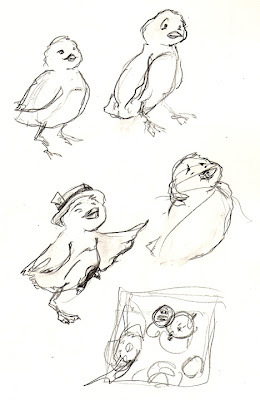 Next I tackled my Jack, who I imagined as rather proud, like Sparrow Jack, though a bit more mischievous. 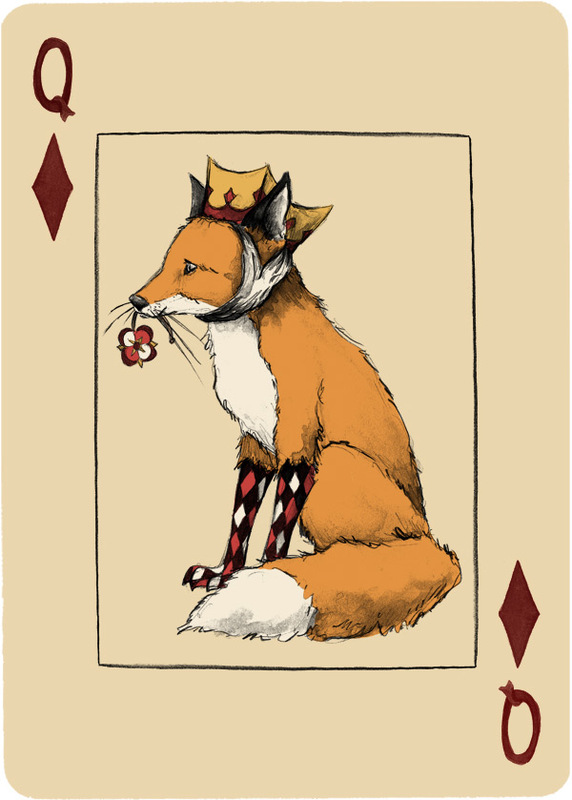 I imagined the Queen to be a rather self-satisfied royal lady, and I modeled her with a series of decorative elements, like the Foxy Queen. 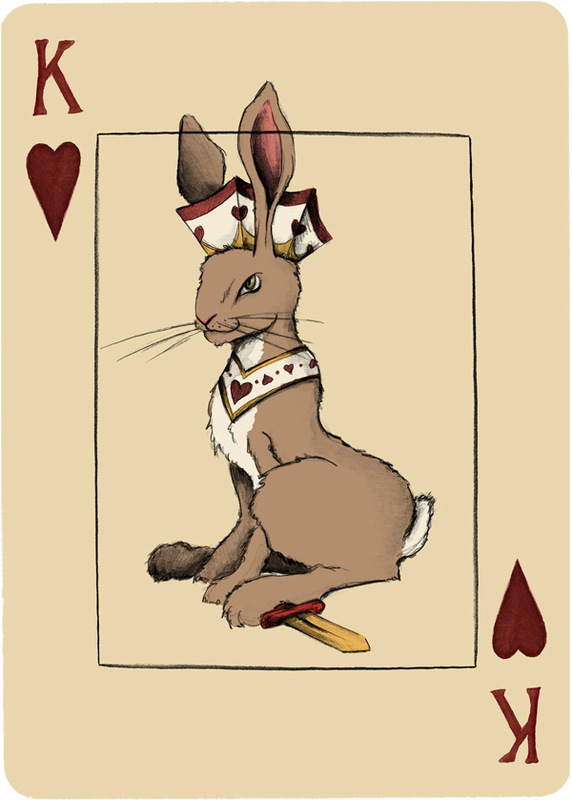 And finally the King, who like his Lady Hare would also be rather self-satisfied. 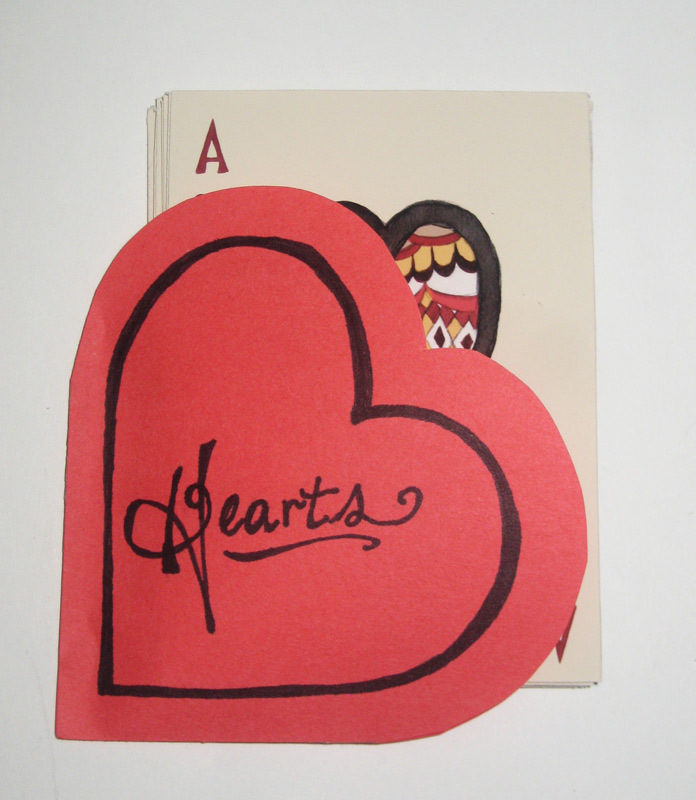 As part of my recent letter-project to N, this week I sent a normal sort of letter, but on thoughtful sorts of paper. 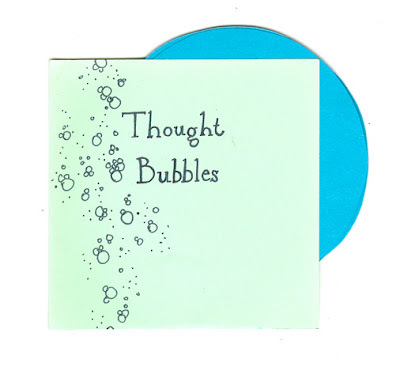 I had a silly idea, playing on the idea of "thought bubbles". 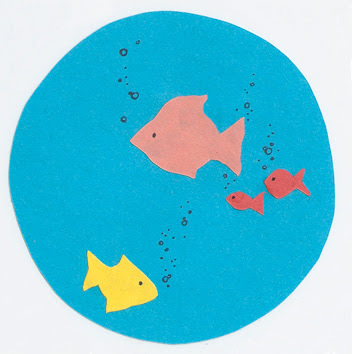 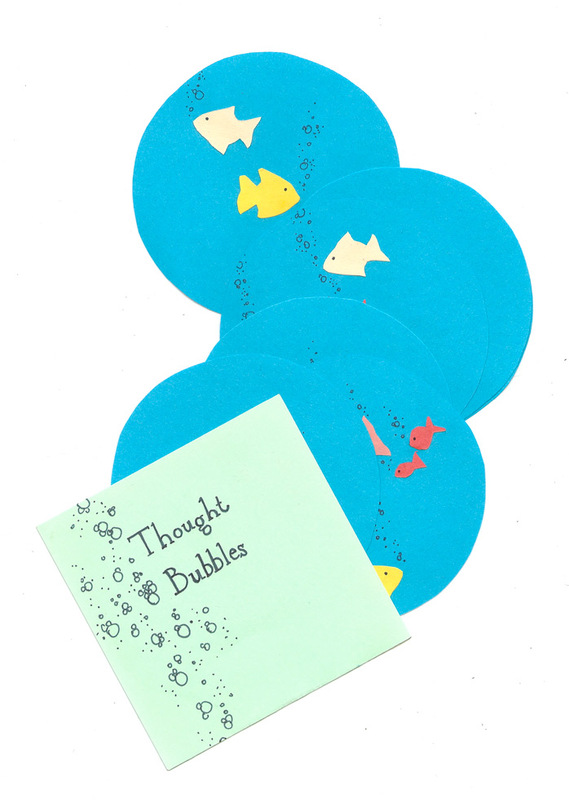 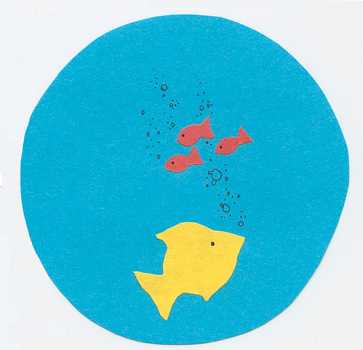 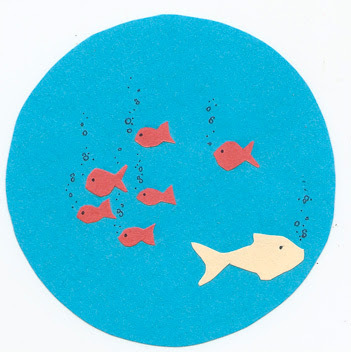 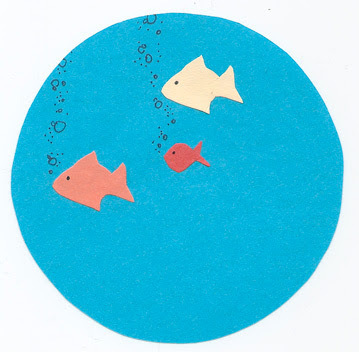 I wrote the letter itself on the backs of seven different bubbles... and I added a bunch of fishes for good measure. 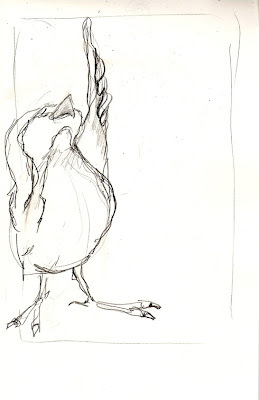 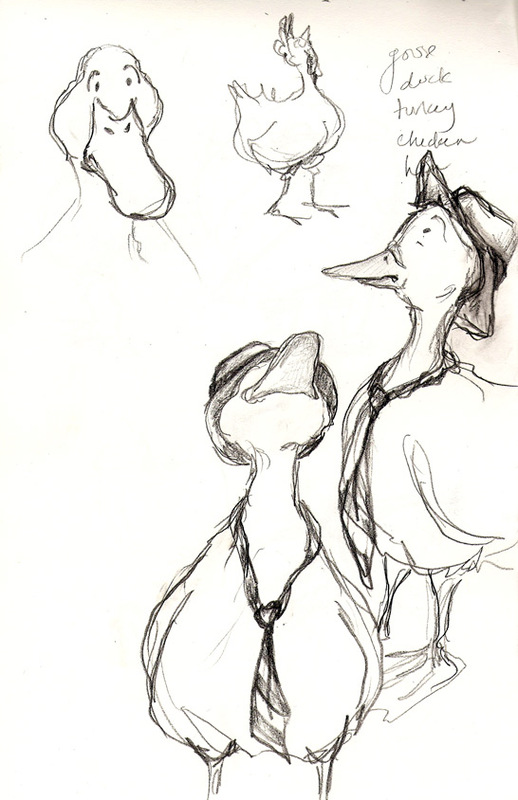 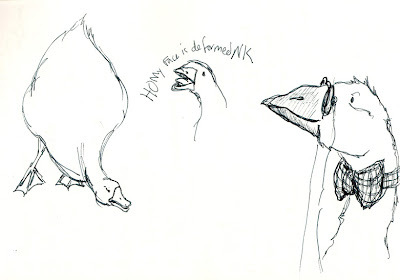 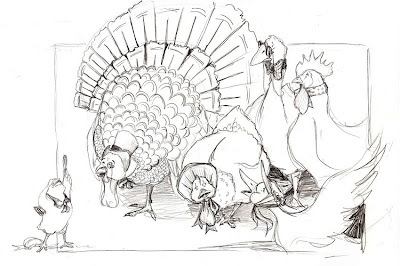 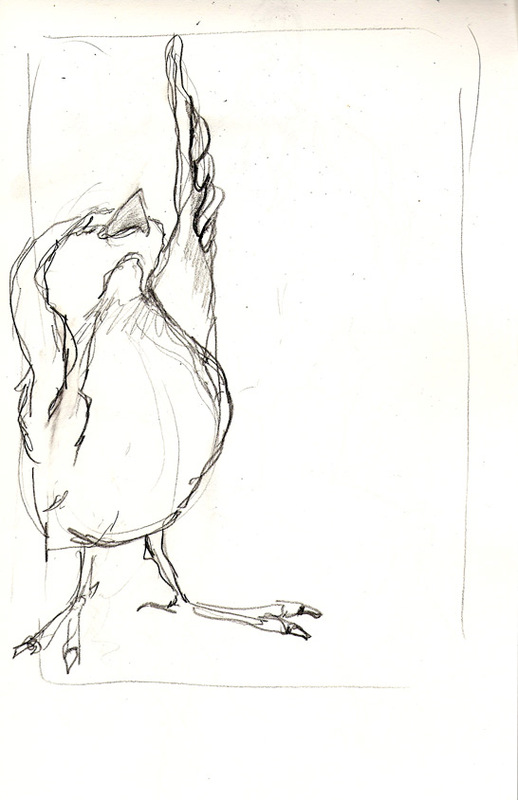 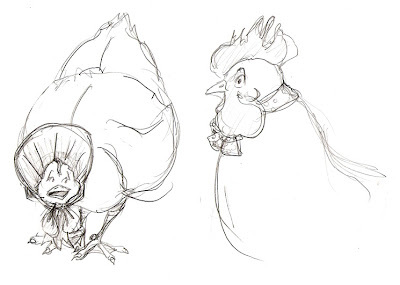 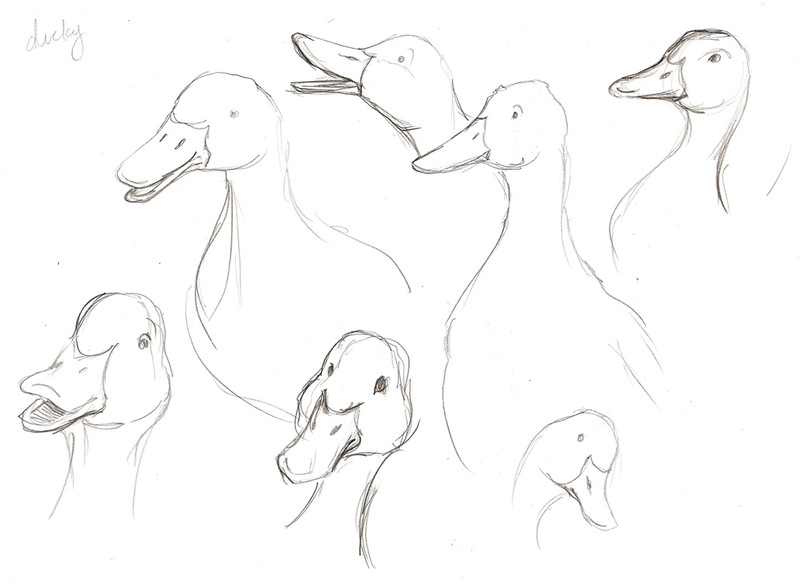 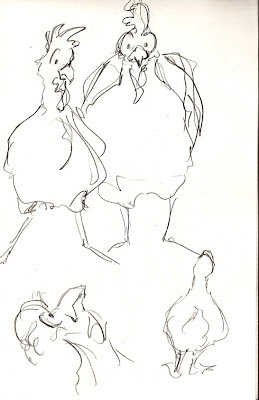 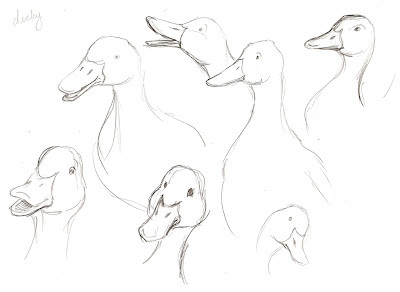 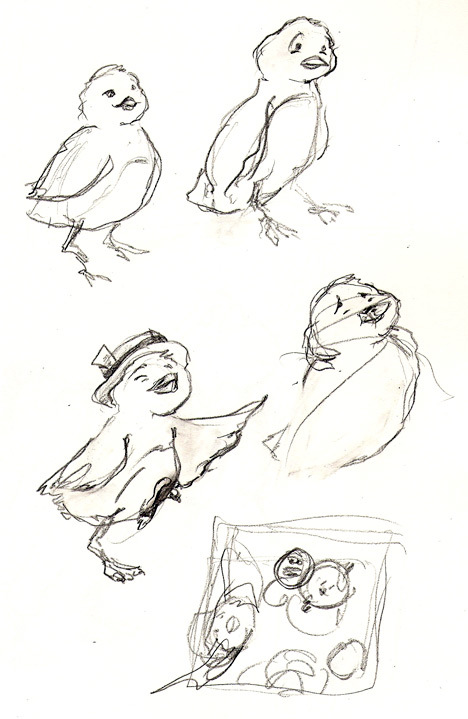 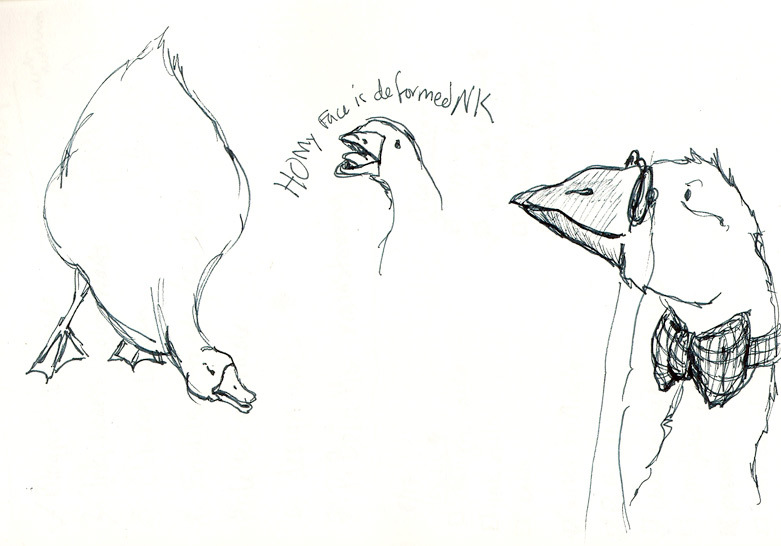 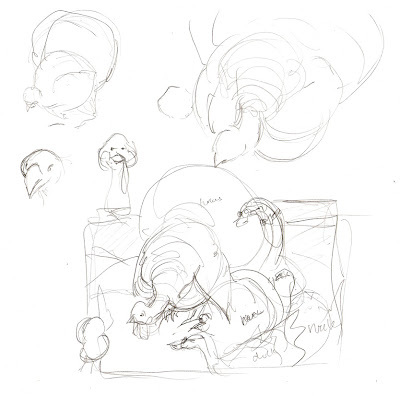 I've been working on a project recently that has necessitated sketching all kinds of fowl. 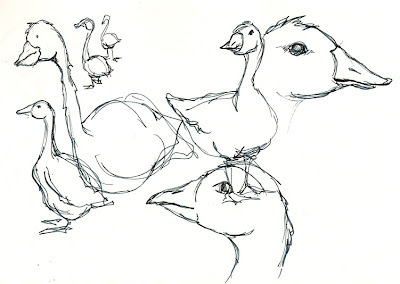 Chickens and turkeys and geese oh my! 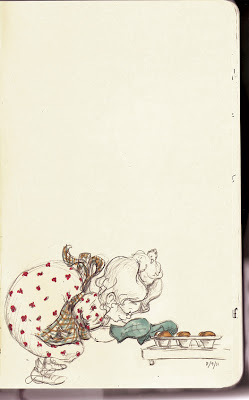 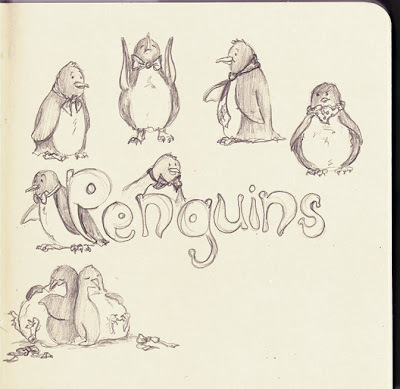 Considering the season, it seems rather timely, so I'll share a bunch of my sketches. 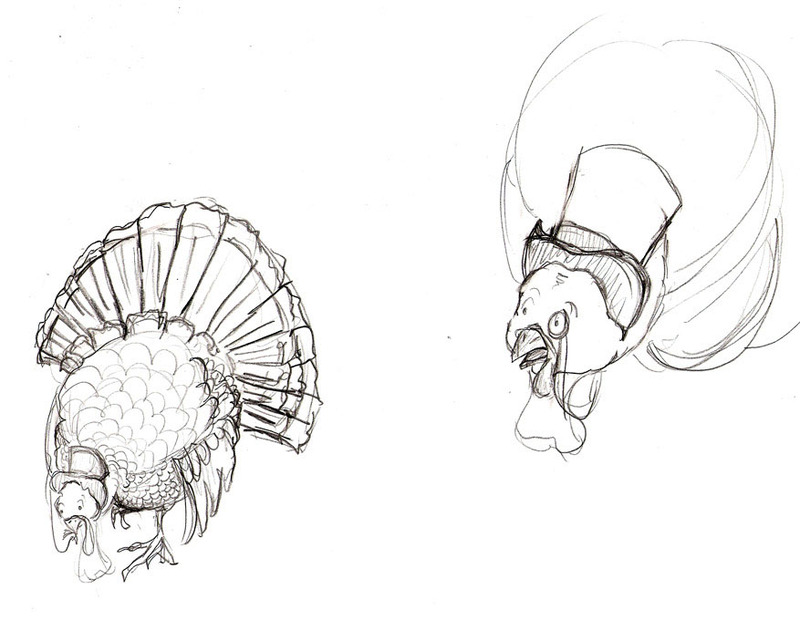 Stay posted for the finished illustration in the next few weeks. 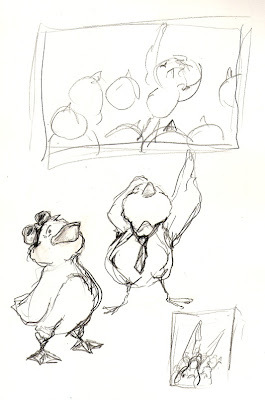 Today was a rather busy work day. 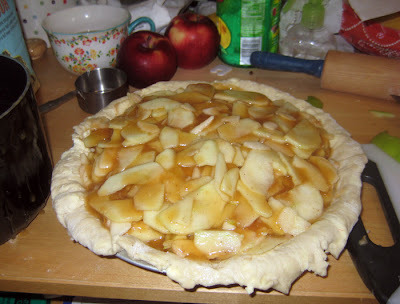 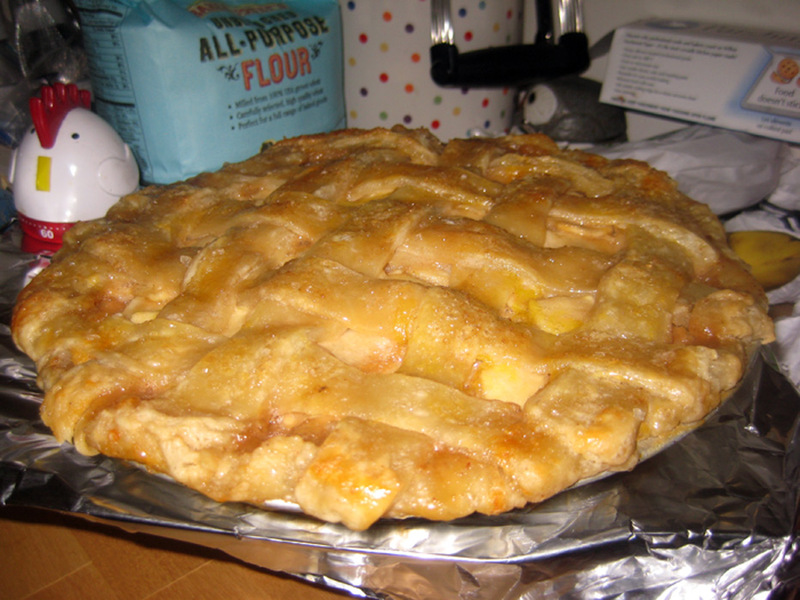 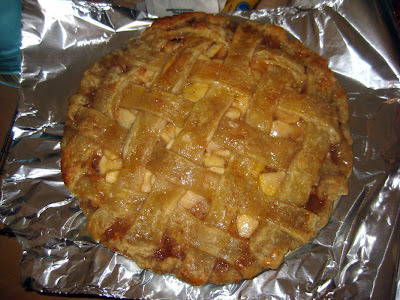 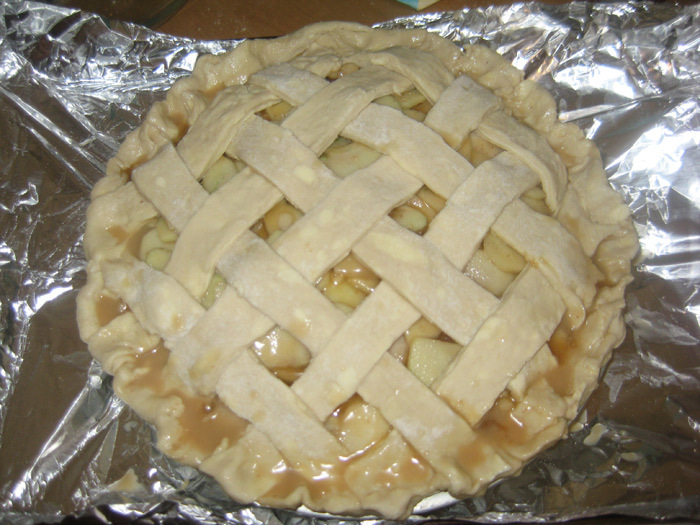 However, most of what I created was made in the kitchen. 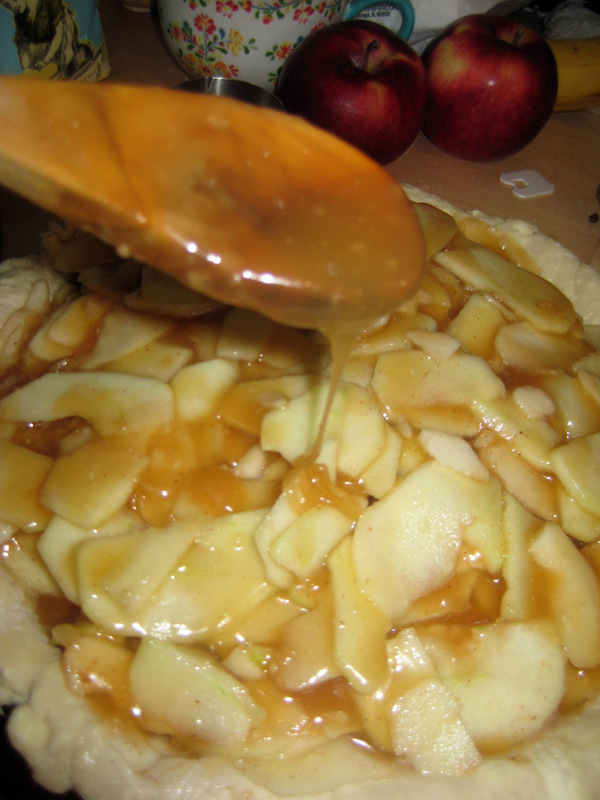 - chickpea and artichoke salad, heaps of pumpkin muffins, and salted caramel apple pie. 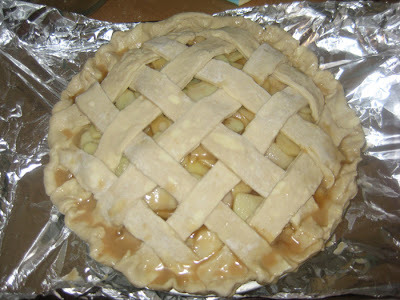 My kitchen smells incredible right now. 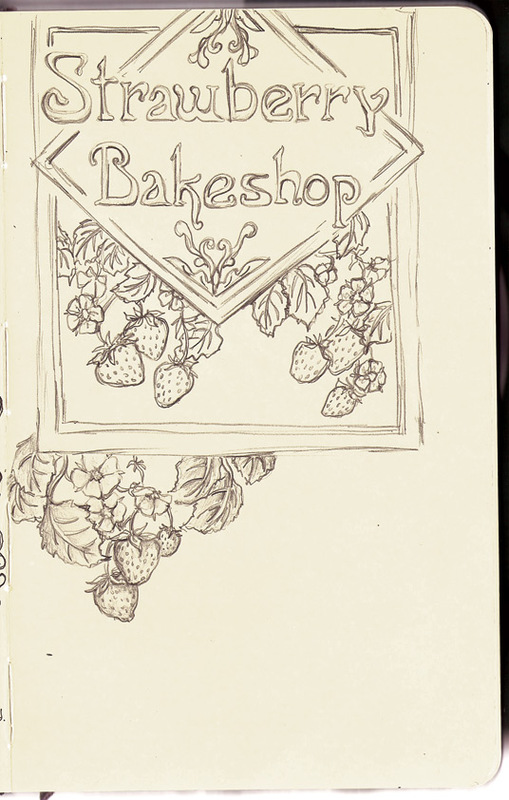 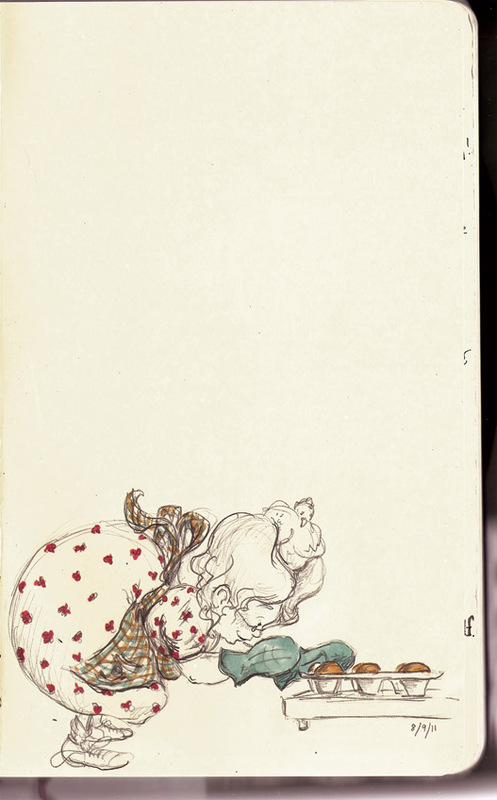 Another Thursday, another sketchbook drop. 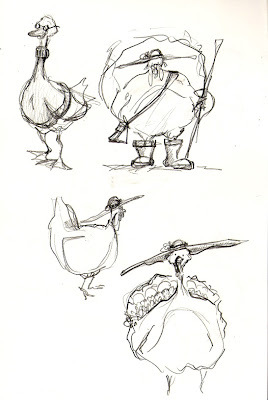 Here's a bunch of this week's pickins. 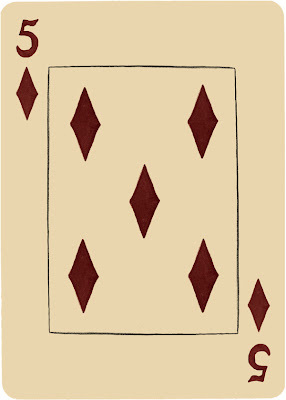 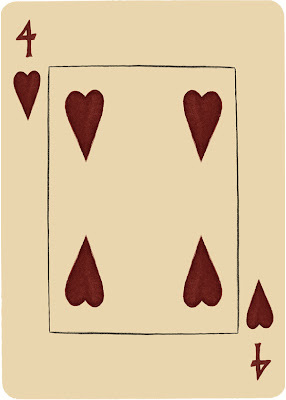 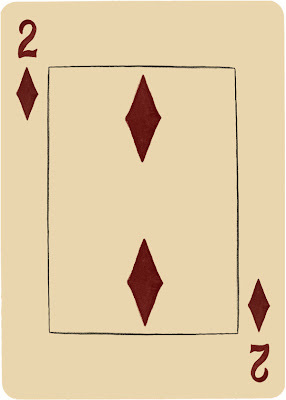 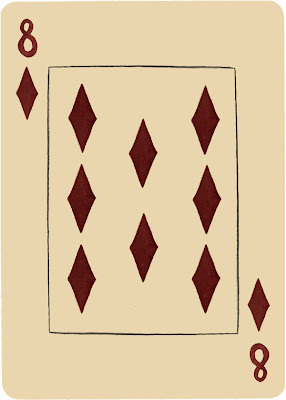 I've been hard at work on the other suits for my deck of cards. First, I spent a while just brainstorming for the additional three suits. 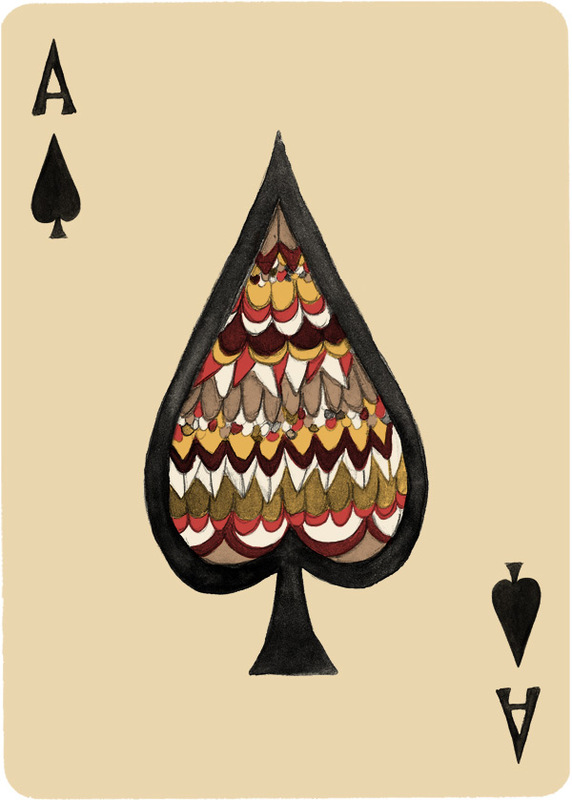 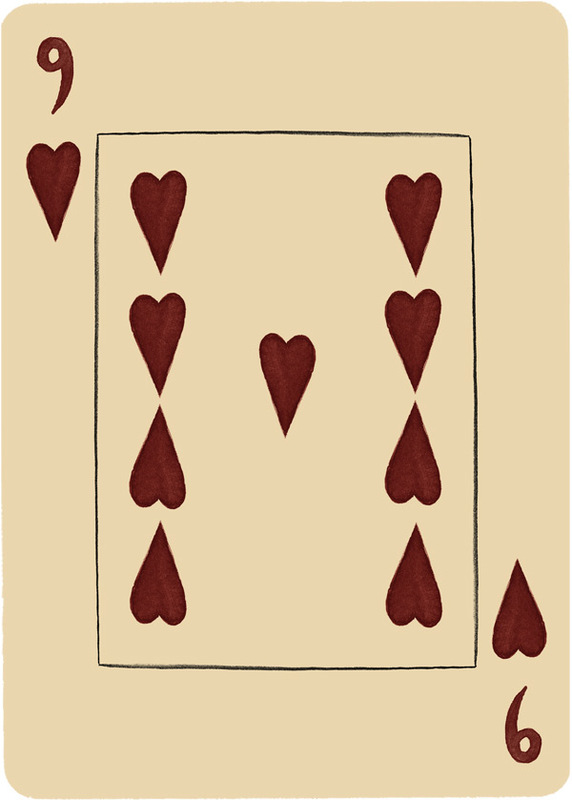 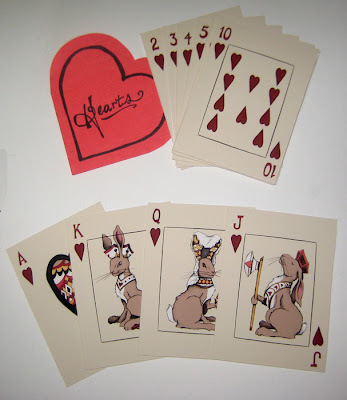 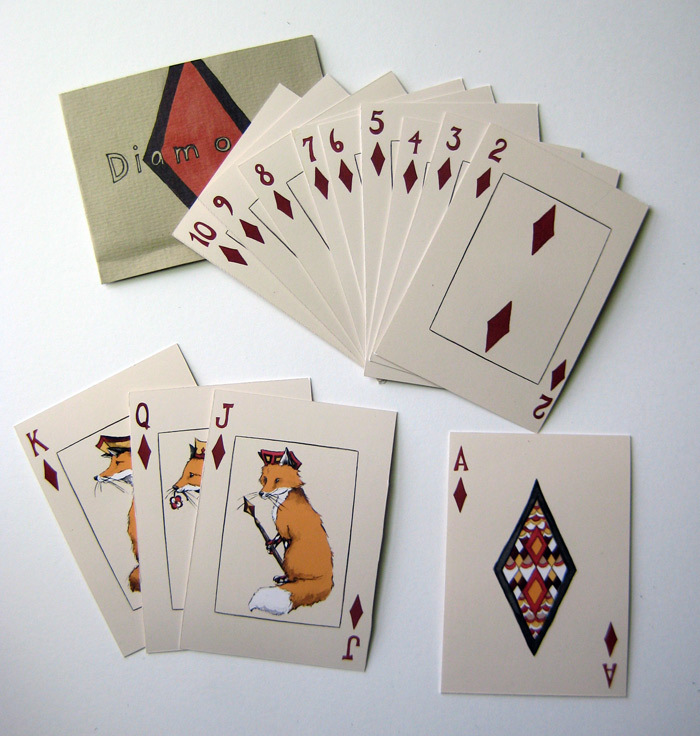 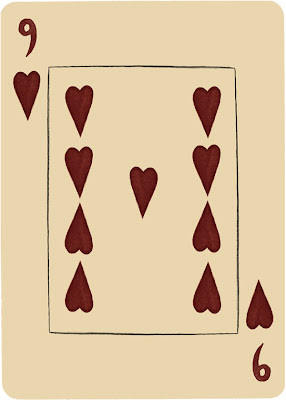 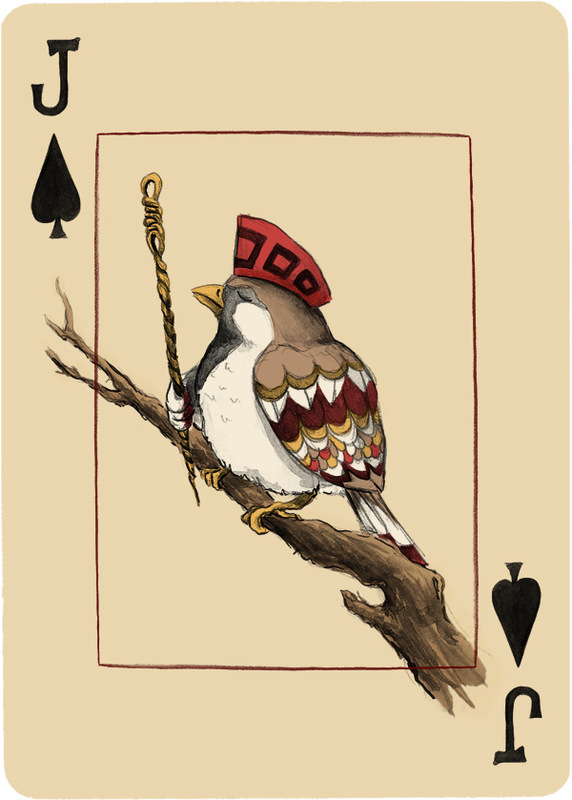 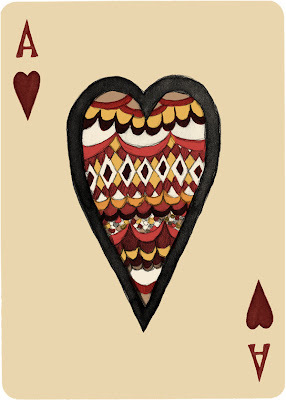 I hadn't really thought about the others when I settled on sparrows for the spade cards. So I did some doodling and a handful of sketches and finally decided that I didn't want to draw birds for every suit. 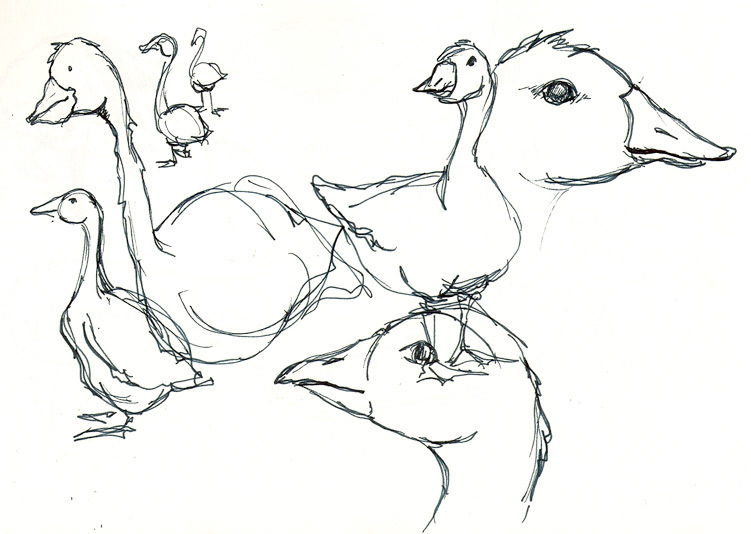 Instead I settled on two sets of birds and two sets of mammals. 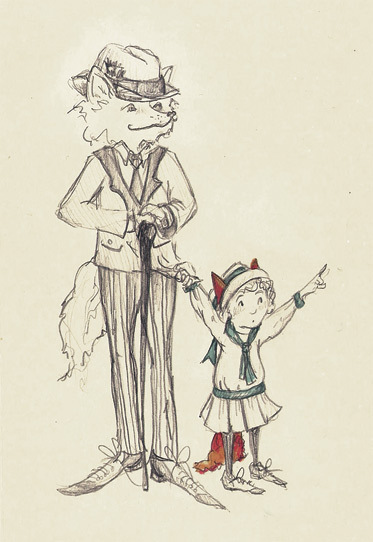 I've been doodling foxes in my sketchbook for a while now, so I thought, why not a foxy royal family? This time around, I did all of the number cards first. I already had quick templates, so it was easy to sub in diamonds and flip around the colors. 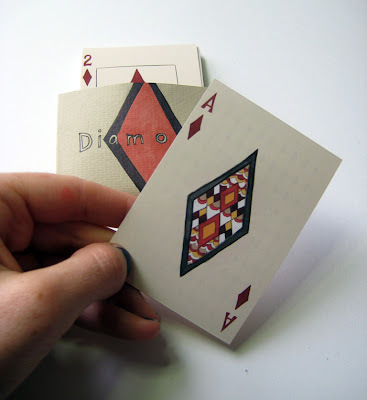 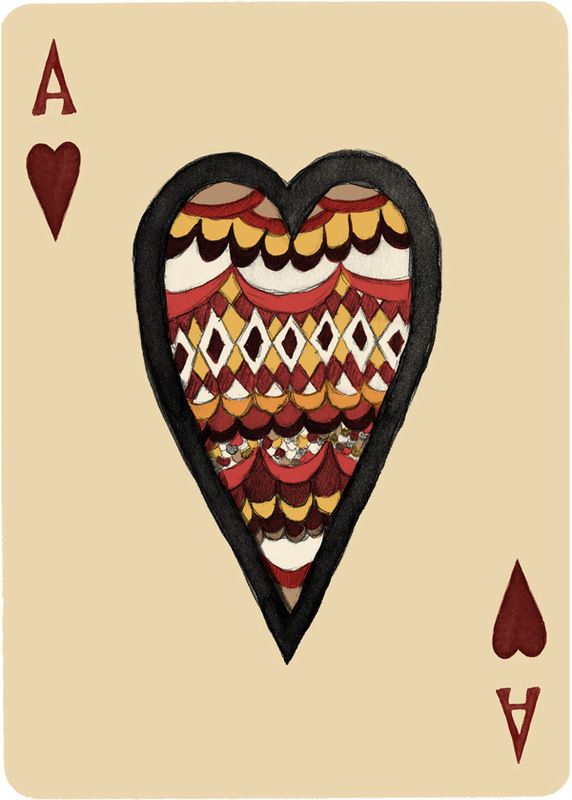 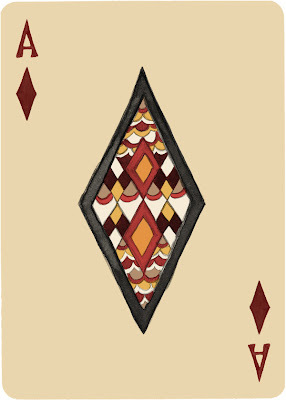 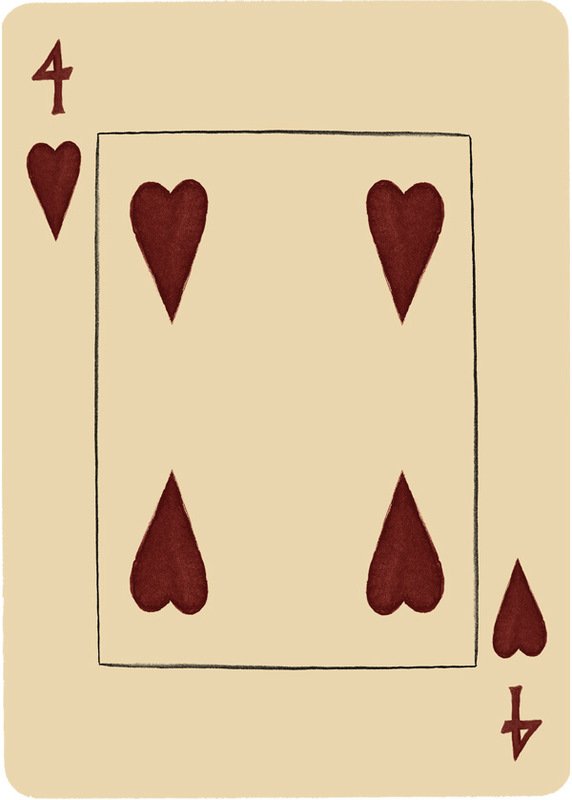 Once I was done with the number cards, I moved on to the Ace, using the design for the Ace of Spades as a jumping off point. 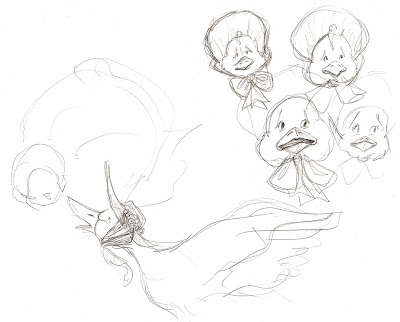 Followed quickly by my Jack, who I imagined to be a wily, mischievous sort of character. 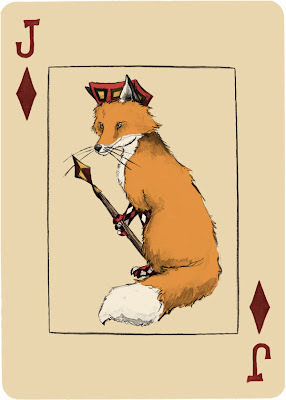 The Queen was a wistful, almost sad, lady fox. And finally, the King, a concerned and regal sort of royal. I packaged them in a handy little case. 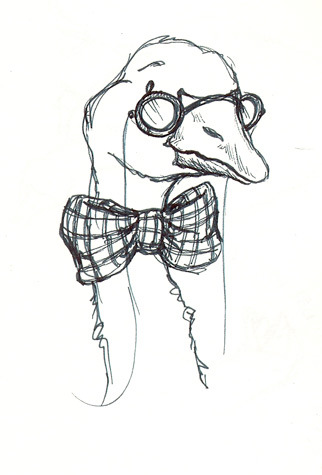 And finally, the full suit.